Attending ApollyCon each year with Alexa and DJ has become one of my favorite traditions. Even though it means having to leave at the crack of dawn on Friday, I just enjoy everything about this weekend. 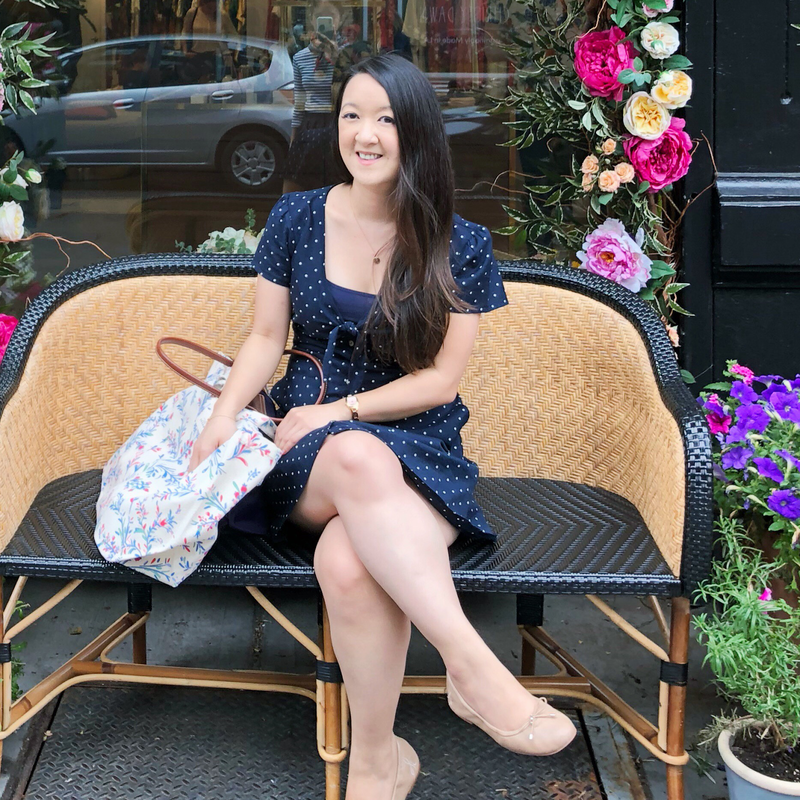 From the train ride down, to the event itself, catching up with friends and making time to explore DC a bit–it's a fun mini-getaway that I genuinely look forward to. 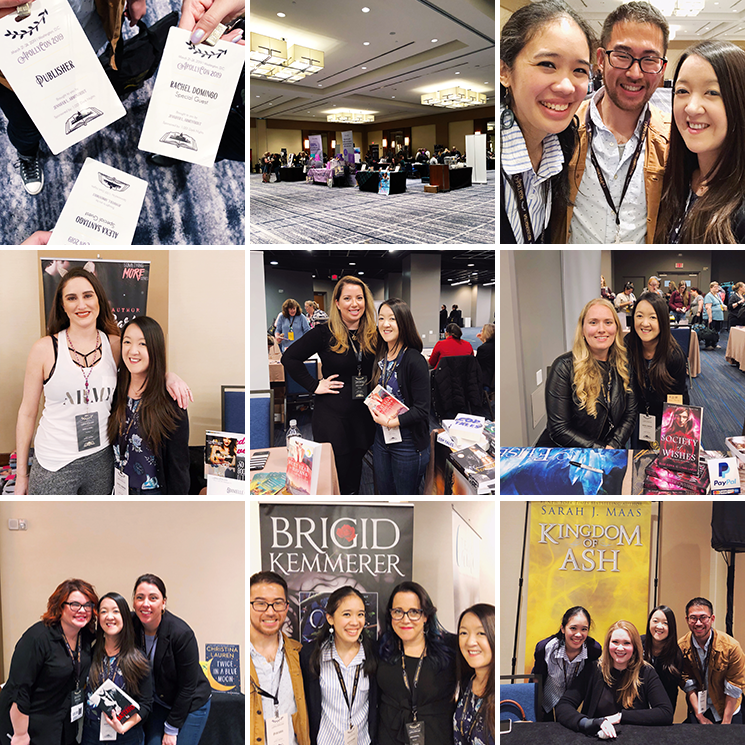 So for those of you that don't know, ApollyCon is an annual multi-day event hosted by Jennifer L. Armentrout and organized by the lovely Steph and Hannah. It features a mix of Young Adult, New Adult, and Adult authors that are available for signings and to buy books from, but also panels and social events to keep readers entertained throughout the long weekend. I've been involved since its inception as their graphic designer. I do the badges, banners, table cards and more. It's been so much fun to be a part of it, especially since I'm such a huge fan of Jen's (she's one of my favorite authors ever). The event starts on Thursday but we always go on Friday for the Titans-only signing session. It's amazing because we get to meet authors before the rush on Saturday and it tends to be a smaller crowd. So if you plan to go, I highly recommend going with this pass. I got to meet some of my new favorite authors for the first time, such as Danielle Pearl (Something More series), Chanel Cleeton (Next Year in Havana), and Elise Kova (Air Awakens series). Then we also saw our usual faves like Sarah J. Maas (wonderful as always), Christina Lauren (I adore these two) and Brigid Kemmerer (she's so sweet!). We basically got all the books we wanted signed and purchased on day, which worked out perfectly! Afterwards we went to dinner at Matchbox and stopped by the Berkley blogger event. top-bottom, left-right: breakfast at Bayou Bakery, the Capitol Building, Kramerbooks, inside Kramerbooks (photo c/o DJ! 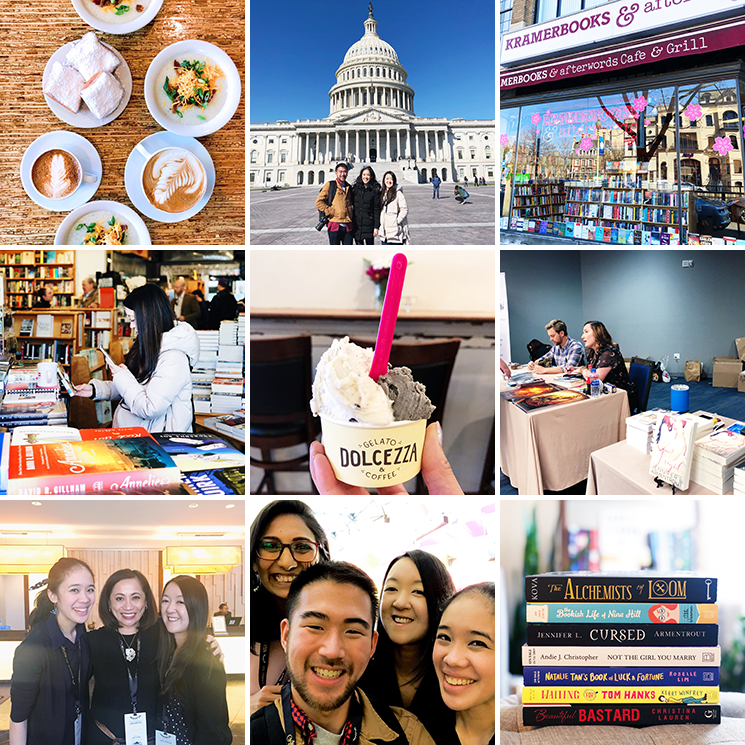 ), Dolcezza Gelato, Jennifer L. Armentrout signing, with Tif Marcelo, with our buddy Mitali and my book haul. We were basically "done" on Friday, that meant our Saturday was free to do a bit of exploring! We went to Bayou Bakery for breakfast, which we did last year too. We loved their grits so much that we knew we'd be coming back and they didn't disappoint. Then we stopped by the Capitol Building and took a bunch of photos. We underestimated how cold it would be so we quickly headed over to Kramerbooks to warm up and shop. Of course the cold weather didn't stop us from getting ice cream and luckily Dolcezza was only a couple blocks away. At that point we still had a ton of time to kill so we went back to ApollyCon to see how the event was going. I'm really glad we did because we got to meet Tif Marcelo, a Filipino author with a romance novel called The Key to Happily Ever After coming out in May. She was so nice to talk to and I'm doubly excited to read her book. Then we caught up with Mitali, Estelle and Lizzy for a bit too. And finally, it was time to go home! We were all pretty exhausted by that point but happy with our books and that we got to hang out almost all weekend. I can't wait for next year! Were you at ApollyCon this year? What did you think? I can't wait for next year either ;-) It looks like you guys had a blast and I can't wait to hear more about it tonight!